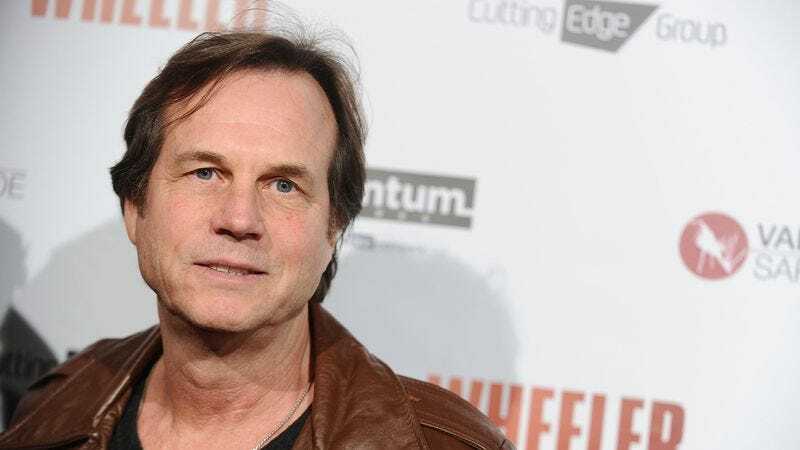 Paxton began to gain recognition in the 1980s with roles in films like John Hughes’ Weird Science, and he also struck up what would become a longtime friendship with James Cameron while working for Roger Corman. In this Grantland piece, Paxton discusses the day he and Cameron were working together on Galaxy Of Terror and Cameron told him about a screenplay he was writing about a cyborg from the future who travels back in time. That movie, of course, ended up being The Terminator, which Cameron cast Paxton in as one of the young punks that Arnold Schwarzenegger kills when he first arrives from the future. He would repeatedly collaborate with Cameron, appearing in Aliens, True Lies, and Titanic, in which he played the diamond-obsessed explorer Brock Lovett who enlists the help of Rose DeWitt Bukater to find the Heart Of The Ocean from the wreck of the sunken ship. His other memorable movie appearances included Twister and Apollo 13, appearing alongside Kevin Bacon and Tom Hanks. In more recent years, Paxton thrived on television in the likes of HBO’s series Big Love, ABC’s Agents Of S.H.I.E.L.D., and the History Channel’s Hatfields & McCoys. He was starring in CBS’ Training Day at the time of his death, with one upcoming episode set to include a guest appearance from his son, James Paxton. Production on the show’s first season has already been completed. Paxton’s final on-screen film role will be The Circle, starring Emma Watson and Tom Hanks. He is survived by his two children and his wife.